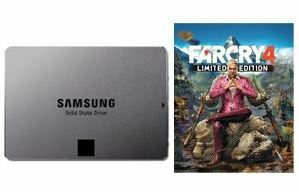 TigerDirect.com has 250GB Samsung 840 EVO 2.5″ SSD (MZ-7TE250BW) + Far Cry 4 (PC Digital Download) on Sale for $129.99 – $10 w/ coupon code OKY149074 – $20 w/ VISA Checkout (more details) = $99.99. Shipping is Free. Get faster load times and more durability with the Samsung 840 Series SSD. 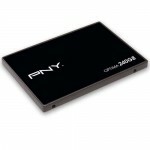 This 250GB Solid State Drive offers plenty of storage space for your pictures, music and other important data. This blazing fast drive offers an incredible sequential read speed of 540MB/s and sequential write speed of 520 MB/s. Its 2.5″ design ensures easy installation with most computers. Don’t waste anymore time. Order the Samsung 840 Series MZ-7TD250BW 250GB Solid State Drive right away! 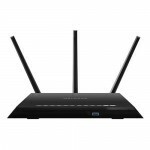 TigerDirect.com has NETGEAR Nighthawk AC1900 Smart WiFi Router R7000 on sale for $169.99 – $30 when you checkout with VISA Checkout (discount appears later in checkout) = $139.99. Shipping is free.